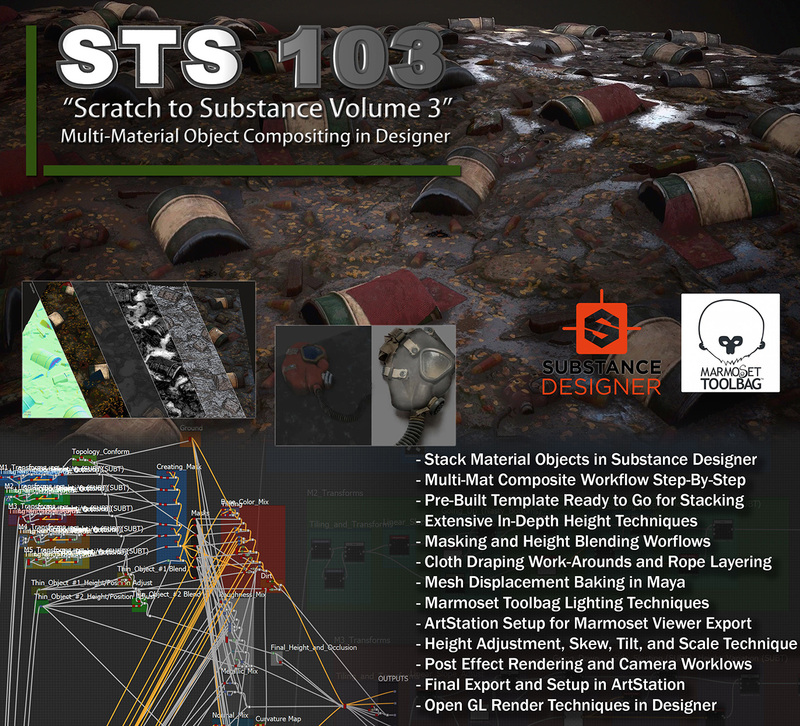 The mother of all Substance Designer Tutorials. Going in depth to Material Object stacking, height blend, and masking in Designer. We also cover portfolio setup and presentation in Marmoset Toolbag as well as export of Marmoset Viewer to ArtStation.